“How do I find a knowledgeable doctor near me” is becoming a Frequently Asked Question, so I wanted to provide the link to Dr. Ben Lynch’s Physician Directory and make this a sticky post for ease of reference. Posted by Andrea & filed under Health Tips. This post has 3 comments. MTHFR, along with other gene mutations and heredity factors, can present special problems in pregnancy and reproduction. This is not to say that if you have these mutations you should be alarmed; many women with MTHFR mutations have multiple successful pregnancies before they even find out that they have these mutations. But if you’re already aware of your genetic status, it would be highly beneficial to take special precautions to ensure a successful pregnancy and healthy baby (and I think testing for every person is important). I myself am currently dealing with these issues. After an early miscarriage at the start of the year and prior difficulty conceiving, my husband and I have been hard at work to uncover as many health issues as we could over the last nine months and treat them before trying again. So with this post, I will be sharing most of what I’ve learned with you. What problems can MTHFR cause? MTHFR gene mutations can create many of the same problems in pregnant women as they can in non-pregnant people. Pregnancy does, however, amplify some of the risks and effects. Pregnant women are more prone to blood clots, for example, which are generally a risk when a person has elevated homocysteine. As we know, excess homocysteine is a common side effect of MTHFR mutations. High homocysteine can also cause pre-eclampsia and miscarriage, which I’ll discuss a little more in the next section. It is important to note also that, according to leading MTHFR researcher Dr. Ben Lynch, it isn’t enough to just look at homocysteine levels when dealing with pregnancy complications and loss. Sometimes a patient may not have an elevated serum homocysteine level, but still may have issues due to MTHFR. MTHFR mutations must be identified and addressed in order to achieve optimal results. Untreated MTHFR also puts women at a higher risk of postpartum depression. A father’s folate status and diet have been found to be important in preventing birth defects and other diseases in offspring. So be sure he’s methylating adequately and getting the proper nutrition prior to conception. It is important to remember that MTHFR gene mutations are inherited. Therefore, depending on what mutations are present in the mother and father, the fetus is likely to inherit MTHFR in some form. The baby can inherit problems in its own DNA, which present symptoms, and can also suffer from the nutritional deficiencies of the mother that are caused by her gene mutations. The most common problem is the risk of neural tube defects because of the mother’s inability to convert folic acid into l-methylfolate. Before I was aware of MTHFR, I was ingesting copious amounts of folic acid. This just blocks a person with MTHFR’s ability to absorb and assimilate natural folate and methylfolate. It is a major failing of current widespread prenatal advice that more women are not aware of the problems of folic acid for so many members of the population. A lack of folate and/or B12 can cause everything from spina bifida to anencephaly to Down’s Syndrome. Elevated homocysteine can cause low birth weight and premature birth. There are also additional risks once the baby is born, which makes testing for methylation gene defects important. MTHFR has been linked to congenital heart disease, autism, ADD/ADHD and a host of other illnesses. As Dr. Kendal Stewart reminds us, it’s possible to use epigenetics to bypass the harmful effects of these mutations in your child, but only if you know which mutations he has. Ensuring proper methylation in a baby will prevent impaired immunity and virus and heavy metal accumulation from birth. This is an essential component to preventing autism and other serious health conditions. It is especially important to avoid folic acid, which is the synthetic form of folate, if you and/or your baby has MTHFR gene mutations. This does not mean that you shouldn’t consume folate. Synthetic folic acid cannot be converted properly to methylfolate and blocks the folate receptors in people with MTHFR. Try taking methylfolate instead, as recommended by Dr. Ben Lynch in this article. What if I’m having trouble becoming or staying pregnant? MTHFR has proven to be a common factor in both infertility and pregnancy loss. Unfortunately, many of these miscarriages are recurring and this can be due to other genetic factors influencing repeat pregnancy loss (RPL). As Dr. Lynch points out, it will be important to test both the father and the mother in these cases. Egg quality can also be an issue for women with MTHFR. This is not to say that MTHFR has a direct negative impact on egg quality, but people with untreated MTHFR often have other chronic conditions that affect them. These things can cause problems with egg quality (I will cover most of them in my ‘Things That Plague Us’ series, which has just begun). New research has determined that the father’s MTHFR status can also play a role. MTHFR has an effect on fetal viability and can also be a contributing factor to stillbirth. So if you are suffering from infertility or RPL, it is important to be tested for MTHFR and other genetic problems, and be sure that you are tested correctly. As Dr. Lynch recommends, a test for plasma S-adenosylhomocysteine may be necessary. In the last section I’ll talk more about some other things to test for and be aware of. What steps can I take to compensate for MTHFR enzyme deficiency? The good news is that there is a lot that you can do to ensure healthy outcomes for you and your family when trying to become pregnant. The first thing will be to ensure that you and your partner are methylating properly and receiving the correct nutritional support. I shudder every time I read about a woman being prescribed Folgard for her MTHFR mutations. That recommendation is based on outdated information, which would indicate that high-dose folic acid is the appropriate way to treat MTHFR gene mutations. Folic acid and the non-methylated forms of the B vitamins provided by this supplement are not appropriate for anyone with MTHFR gene defects. Instead, you can find several other formulas that will provide the support you need (assuming you don’t have other genetic mutations that prevent your tolerance of methylated vitamins – I’ve discussed this elsewhere on the blog). I’ve tried three of these prenatal vitamins myself. The first was Neevo, which I didn’t like for several reasons. First, it’s very expensive if your insurance doesn’t cover it (and many don’t because it is considered a nutritional supplement). Second, Neevo is not a complete prenatal, which means that you would have to supplement other vitamins to get the proper nutritional support. With the high cost of Neevo that didn’t cut it for me. I expect to get vitamin A, zinc, manganese and more calcium in my prenatal, at the very least. Finally, you know I’m into the all-natural, so I see no need to have artificial colors added to any of my vitamins, which Neevo has. I also don’t want soy. Next. I took Thorne’s Basic Prenatal for a couple of months but that didn’t do it for me either. I wasn’t happy with the vitamin K1 (I still haven’t figured out whether K1 would be contraindicated for those of us with MTHFR and, hence, a higher risk of clotting) and chromium picolinate. Some women also cannot tolerate the amount of iron (45 mg) in Thorne’s Basic Prenatal either. Luckily, Dr. Lynch has formulated two awesome new prenatal formulas in his Seeking Health line, which I have been taking for the last month and a half with no issues so far. The Optimal Prenatal formulas contain both folinic acid (not the same as folic acid) and methylfolate, two forms of active B12, two forms of vitamin A (the second to assist those with the BCMO1 snp), all the other required and active forms of B vitamins, Betaine HCl and additional herbs and nutrients. Note that there is no iron or fish oil in this formula so if you need those (and a good fish oil is highly recommended), you’ll want to add an additional supplement. The Seeking Health prenatal supplements come in both capsule and powder form. This is the question on the lips of many a MTHFR sufferer. Do I need daily injections of a blood thinner during my pregnancy? From everything I’ve read the answer seems to be that if you have homozygous mutations: possibly; if you have RPL: probably; if you have MTHFR mutations plus other diagnosed thrombotic issues: definitely. I saw my maternal fetal medicine (MFM) specialist several weeks ago to discuss these matters and to review the results of some thrombotic risk tests that my MTHFR doctor had ordered. I was tested for a number of thrombotic activities and came up with only the MTHFR and very slightly elevated anticardiolipin IgM antibodies. Based on this and my other fertility issues, both the MFM and my new reproductive endocrinologist have agreed that I should proceed with only baby aspirin and progesterone supplements in the luteal phase. I couldn’t seem to get anyone to test for anything further and at the moment I’m trying to just accept the good news and not worry too much about what they might be missing. There are many different tests that a woman facing infertility and miscarriage would want to have performed, which are not within the scope of this blog post to discuss (check out the book Is Your Body Baby Friendly by Dr. Alan Beer for starters). For me, it’s just the one miscarriage and no other known thrombotic issues (fingers crossed) and we’ll see what happens next. But many women with MTHFR do need additional medication such as Lovenox to carry to term and it’s alarming that so many doctors refuse to prescribe it. A few physicians, such as Dr. Stephen Wells and Dr. Alexander Kofinas have this treatment in their MTHFR protocols. Dr. Kofinas explains his reasoning in this paper, Why Low Molecular Weight Heparin Prevents Most Severe Pregnancy Complications. Initial scientific research for homozygous C677T cases supports this opinion. Dr. Lynch explores this subject more on his website as well. In the next section I’ll discuss some additional situations where you might want to find a doctor who is willing to explore this preventative treatment with you. What else should I be aware of and thinking about? I’ve tried to keep this post centered on the special circumstances surrounding MTHFR parents, however, I want to remind everyone of the fundamentals that one would find in even the most elementary prenatal books. Sometimes we get so caught up with all the MTHFR stuff we have to think about that we can forget about the basics! First of all, protecting yourself against foodborne illness is important because pregnant women and their fetuses are at higher risk due to weakened immune systems. Eat a well-balanced diet and stay well-hydrated. Avoid eating fish that are high in mercury, such as shark, swordfish or tuna. Don’t use alcohol, drugs or tobacco and avoid secondhand smoke. Review your prescription and over the counter medications and herbal formulas for safe use during pregnancy (or use at all). Avoid environmental pollutants and limit the amount of stress in your life. 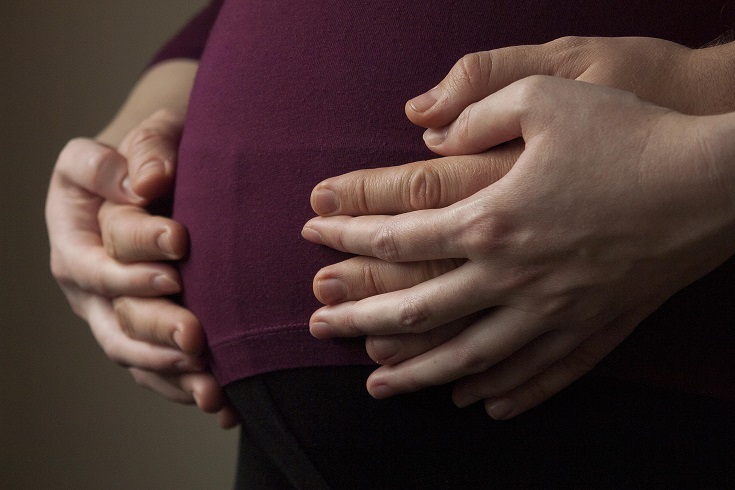 These are just a few of the most common tips for all pregnant women. Those of you who have been exploring your genome in more detail will probably be aware of the potential problems you could encounter during pregnancy. But if you’re only focused on methylation defects at the moment, there are some single mutations or gene families that you may want to look into, particularly if you’re having problems with RPL. Prothrombin gene mutations can act alone or with MTHFR to increase the risk of blood clots. As discussed in earlier sections, these can cause infertility, miscarriage or serious health complications for you and your unborn baby. A common mutation is Factor V Leiden, which can cause deep venous thrombosis, pre-eclampsia, placental lesions, miscarriage and other obstetric complications, with the risks increased 80-fold for those patients who are homozygous. Lovenox may be required in these situations. Another commonly run panel detects cystic fibrosis allele mutations as many people are silent carriers of this gene. There are, of course, many others, but too many to name. As many of us with MTHFR also suffer from thyroid problems, you’re well-advised to have a basic thyroid panel run at least a few months before you try to conceive. Tests for Free T3, Free T4, TSH and antibodies are commonly run by general practitioners and endocrinologists if you ask for them. Interpreting them correctly and getting adequate treatment may be another battle, but it would be wise to correct any thyroid dysfunction prior to becoming pregnant. Pregnancy presents special challenges for thyroid patients and a lack of thyroid hormone in the mother during pregnancy can have serious implications for babies. Don’t leave home without it. Having a plan will prepare you for all sorts of encounters you will have at the hospital and will ensure that your wishes are considered and followed prior to entering the chaos of labor and delivery. There are all sorts of things to consider, from whether you want drugs like Pitocin to be administered, to when the umbilical cord should be cut to whether you will allow vaccines and other substances to be administered to your newborn. Get together with your doctor and lawyer and ensure that you’ve drafted a legal document and know the procedures to safeguard that it’s followed. For more information on this, you can visit Childbirth.org or do a simple search online for a variety of websites that explain this in more detail. I have collected these from Dr. David Berger and Dr. Dietrich Klinghardt. You will (and should) find further details and additional tips via their respective links as these are both excellent articles. The items here will help to prevent miscarriage, autism and other adverse health conditions, and are generally advised for overall health in people of all ages. Eliminate toxins and allergens. A large quantity of a mother’s toxic burden is passed onto her fetus through the placenta. If you can, detox before you get pregnant. Avoid electromagnetic radiation, especially in your home and where you sleep. This can come from all electrical appliances, especially mobile phones, cordless phones, laptops, wifi devices and computers. Have nutritional testing done before conception along with a celiac panel, a test for opioid peptides from gluten and casein, and igE and igG antibody testing. The mother should avoid foods that she is allergic to. Have mercury amalgam fillings removed prior to conception (only by a dentist who knows how, see articles) and do not have these types of fillings inserted again. Ensure adequate vitamin D, folate, calcium and iron levels. Be vigilant about any infections you may have that could be causing miscarriage or infertility. I talked a little about this in my post on autoimmune disorders. What are you doing to plan for pregnancy? Disclosure: I am an affiliate of Seeking Health and will receive a small commission from the proceeds of any sale made via the links in the prenatal supplement section of this post. Be assured that any income goes to maintaining the free information I provide on this website. I used these supplements myself. Posted by Andrea & filed under Health Conditions. This post has 196 comments. 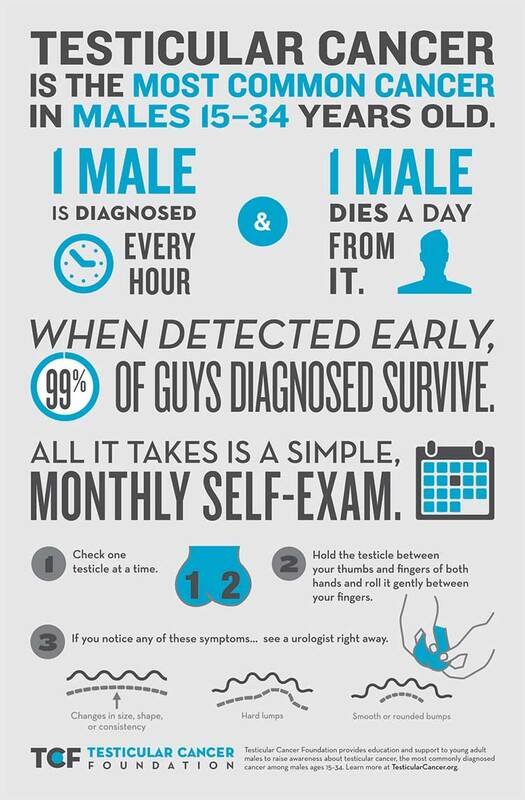 Did you know that Testicular Cancer is the leading cause of cancer for men ages 15-34? It is also one of the most beatable cancers – if caught early the survival rate is 99%. A simple self exam can save time, money, unnecessary treatment and ultimately save a life. This month we are joining the Testicular Cancer Foundation and Tommy John to help raise awareness about this disease. Please share this infographic with the young men in your life.